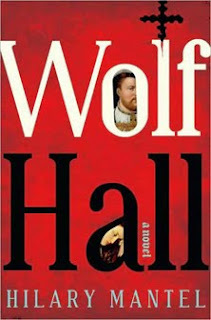 As of just a few minutes ago, Wolf Hall has won the 2009 Man Booker Prize! Wolf Hall is a massive book and absolutely deserves the win more than any of the others I've read. It's the War and Peace of the Tudor Dynasty and one of the finest historical British epics I've ever encountered. 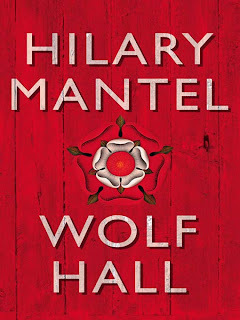 I'm curious to see how this book is received once Mantel receives her surge of new readers. This is not a book to just pick up and breeze through! It is a commitment; this book will fill up your reading schedule for at least a month. It'll be absolutely worth it if you've been craving a lengthy read, but if you've got a stack of books in your to-read pile you better just slide this one to the bottom. Wolf Hall comes out next week to US audiences. Here are both of the covers, US on the left and UK on the right-- I think the UK edition is far superior, what do you think?